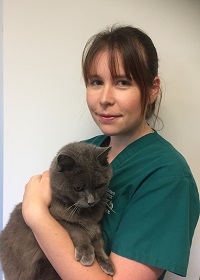 Candice joined the practice in April 2017, after working as a veterinary nurse elsewhere for over 8 years. She completed her cert IV vet nursing in 2011 at Yallah TAFE. In her spare time Candice enjoys outdoor activities and spending time with her menagerie of animals including; snakes, dogs, cats and goats.